Opposition Leader Mahinda Rajapaksa would officially announce the SLPP Presidential candidate at the party’s first national convention scheduled to be held by the end of June in Colombo, a party spokesman said. He further noted that several venues have so far been considered including the Colombo, Sugathadasa Stadium and said that many politically significant proposals are also expected to be passed at the convention. 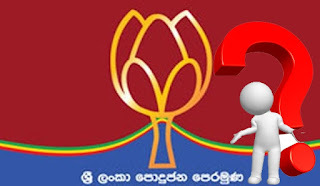 However, Basil Rajapaksa and the SLPP have taken a firm decision not to agree to nominate Maithripala Sirisena as the party’s presidential candidate. Confirming that stance, the SLPP Gampaha district leader Prasanna Ranatunge said that in order to win the upcoming presidential election the SLPP does not require any alliances. Prasanna Ranatunge who is considered a Basil loyalist, made these comments at a public meeting held in the Kirinda, Puhulwella area in Matara concurrent to the SLPP organised ‘Gama Samaga Pilisandarak’ (A conversation with the village) programme. He further said, “Although we had the opportunity to defeat the budget, as the SLFP-MPs fled at that time, we lost that opportunity. However, we were able to defeat the expenditure heads of two ministries and teach the government a lesson. In fact, we defeated these expenditure heads without anyone’s support.